R3 Acetabular System: This hip implant consists of a femoral head and cup, with a metal liner between the two components. The R3 system is a metal-on-metal hip implant that has experienced many of the same problems that other metal-on-metal hip implants have faced, including metallosis, pain, infection and hip implant loosening. Many hip implants can suffer these problems, but the R3 System failed at a much higher rate, a whopping 6.3% versus 2.89% for other hip implants. In response to these problems, Smith & Nephew issued a voluntary recall in June of 2012. At the time of the recall, roughly 4,000 R3 Systems had been implanted in US patients. Birmingham Hip Resurfacing (BHR) Femoral System: The BHR System is similar to the R3 System in that it has a metal femoral head and cup which creates a metal-on-metal hip implant. The BHR System was special in that it was designed to allow for the option of “resurfacing” of the hip joint. With resurfacing, the bone is resurfaced with metal, instead of being completely replaced. However, due to the metal-on-metal nature of the BHR System, patients began suffering from the same problems as R3 System patients. In June of 2015, Smith & Nephew withdrew the BHR System from the US market. Tandem Bipolar Hip System: On August 29, 2016, Smith & Nephew recalled this medical device because “some bipolar shells were manufactured with an out of specification retainer groove.” This has resulted in hip implants literally falling apart after being implanted in the patient. Modular SMF Hip Stem and Modular REDAPT Revision Femoral System: On November 15, 2016, Smith & Nephew issued two recalls for its SMF and REDAPT Hip Systems. 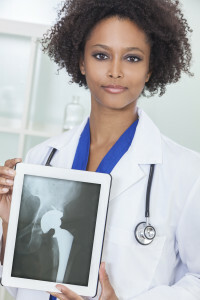 The basis for the recalls is due to “a higher than anticipated complaint and adverse event trend.” Essentially, many of the problems with these two hip implant systems have involved the release of metal ions into the body, resulting in metallosis. Currently, there are several dozen active federal lawsuits concerning the R3 and BHR Systems. 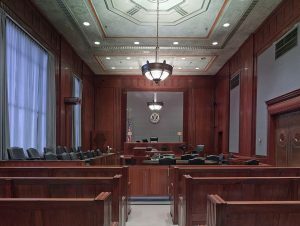 These thirty-one cases are spread out over twenty-two federal districts and in the beginning stages of litigation. Since the facts surrounding each case are similar, several plaintiffs have asked the court to consolidate all the cases into one multi-district litigation, or MDL. The hope is to litigate these cases more efficiently, although Smith & Nephew has opposed this consolidation on the basis that the R3 and BHR Systems are two different products that rely on two different regulatory laws. A hearing is scheduled for March 30, 2017 to decide whether these lawsuits should obtain MDL status. Currently, only the R3 and BHR Systems have a significant number of lawsuits pending. This shouldn’t be surprising since those devices were recalled or withdrawn from market a few years ago while the Tandem Bipolar, Modular SMF and Modular REDAPT systems were only recalled in the past few months. However, Smith & Nephew can expect to be in court concerning these recently recalled hip implant systems. If you had any of the above products implanted, see your orthopedic surgeon and discuss the possibility that your implant may begin to fail, or may have already started to fail. Your doctor can perform tests to determine if your artificial hip is failing. And if you have legal questions, don’t hesitate to give me a call or send me a message.